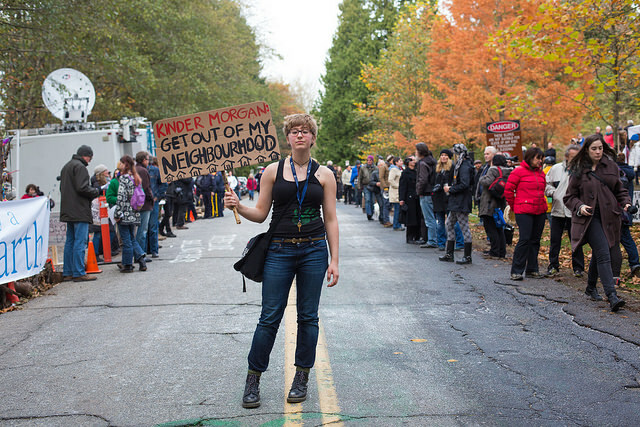 A rally in opposition to the Kinder Morgan oil pipeline on Burnaby Mountain, Canada. Photo by Mark Klotz. These are news startups whose work may impact voters and politicians who choose the destiny of a nation. Every one of these news startups have carried out a crowdfunding campaign since the start of the year, and each of them seeks to make democracy function better. All of these news startups deal with national politics. Four of the seven are from Canada, where national elections are scheduled to be held in October. FactsCan is a fact-checking website based in the Canadian capital Ottawa and fact checks Canadian politicians leading up to elections in October. FactCan raised about $8,300 Canadian dollars on Indiegogo, 167 percent of the $5,000 they asked for. When the site is complete it plans to lay out common tactics people use to deceive so voters are less likely to be deceived. In Singapore, the independent citizen journalism website The Online Citizen raised $41,100 Singapore dollars ( roughly $31,000 USD) to hire more reporters and people to train citizen journalists. A campaign was held before the previous national election as well to beef up reporting muscle and increase story production. This campaign was launched on the Australian platform Pozible. In Britain, Parly wants to break news stories inside parliament. Creator Tony Grew said he was inspired to launch the app following the rush of news startups that emerged immediately after #IndyRef in Scotland. Even though the campaign took place during national elections, Parly fell short of its funding goal. Had the campaign been successful, the plan was to launch the new site a day or two after national elections being held May 6. The day the campaign failed, Grew announced plans to launch a new website and crowdfunding campaign for Parly in the coming months. Shortly before the State of the Union address last February, PolitiFact raised $16,000 to fact check the lengthy speech live. Money received after the campaign reached its goal was pledged to their coverage of the 2016 presidential election. 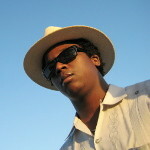 The new website nationalobserver.com launched this week. As Through the Cracks reported earlier this year, National Observer is the new national arm of Vancouver Observer. More than $80,000 CAD was raised in the campaign, making their recent and previous Tar Sands Project campaigns two of the top 25 highest grossing campaigns in the history of the Kickstarter Journalism category. The environmental nonprofit DeSmog Canada received more than $50,000 to hire additional journalists with a message that independent journalism is needed to bring impactful investigative stories to light in a world dominated by corporate interests. The Tyee will send more reporters to Ottawa this year to put more reporters in the capital ahead of October elections. This is the second campaign in the last year by the news startup to send reporters to Ottawa. Second time around, the independent news website raised $78,000 CAD. Started in 2003, The Tyee currently brings in roughly a quarter of its overall revenue from crowdfunding, said executive director David Beers in a recent New Yorker article. The Tyee also makes money from its masters classes, including a crowdfunding training program for nonprofits and creative people (next class later this month). During a presentation on the mistakes and failures of German startup Krautreporter, who brought in one million euros in a campaign last year, a member of the audience asked if he thinks there’s a ceiling or limit to the amount of journalism that can be crowdfunded. The questioner, who failed to identify himself, said he worked for an online magazine on the west coast of Canada that recently raised about $75,000 CAD. Did we forget anything or do you know other news startups that make democracy better? Share in comments or send us a story tip.